Designed by Kauko Raatiniemi, the Wood Jewel range of knives reflect the ancient Sami traditions of knife-making from the heart of Finnish Lappland. This is a brand new model made in a traditional Sami style. The 8.5cm blade is made from carbon steel with a flat Scandinavian grind. 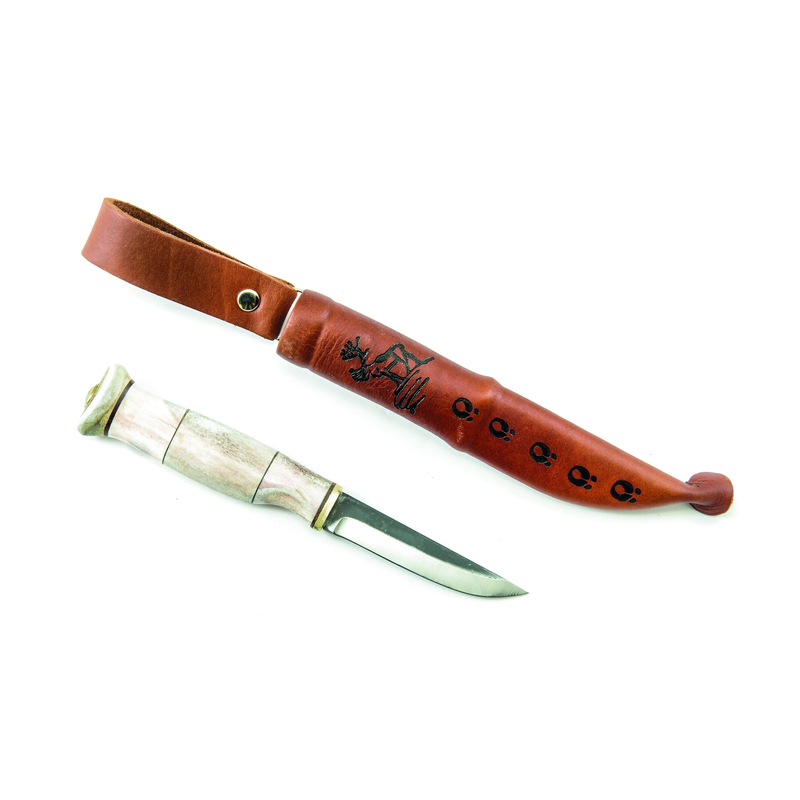 Comes supplied with a leather sheath with an image of a Reindeer and footprints on the sheath.